Some NASA Scientists Designed a Bed. We Rested It Out. Well, not quite. 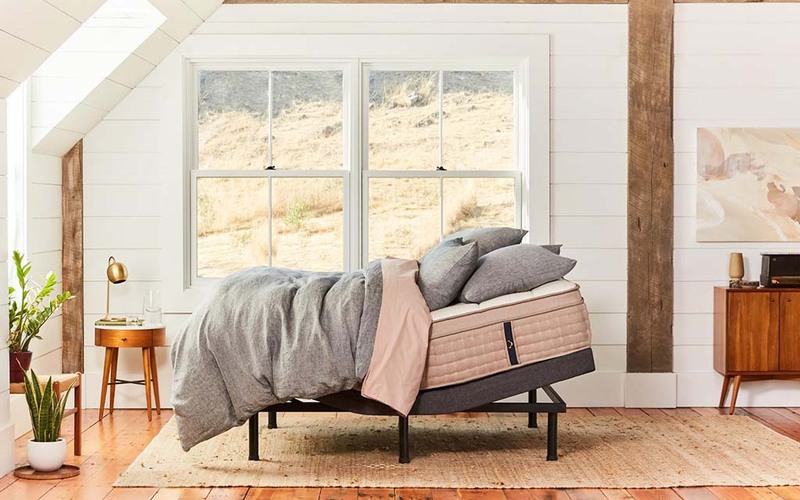 But it is a consumer space where more and more luxury offerings are cropping up, with opulent offerings that range from sheets to pillows to, as anyone who has listened to a podcast in the past five years knows, mattresses. But, what’s the point of a bespoke mattress if the frame underneath it isn’t up to snuff? You wouldn’t shell out for a mansion on a faulty foundation. 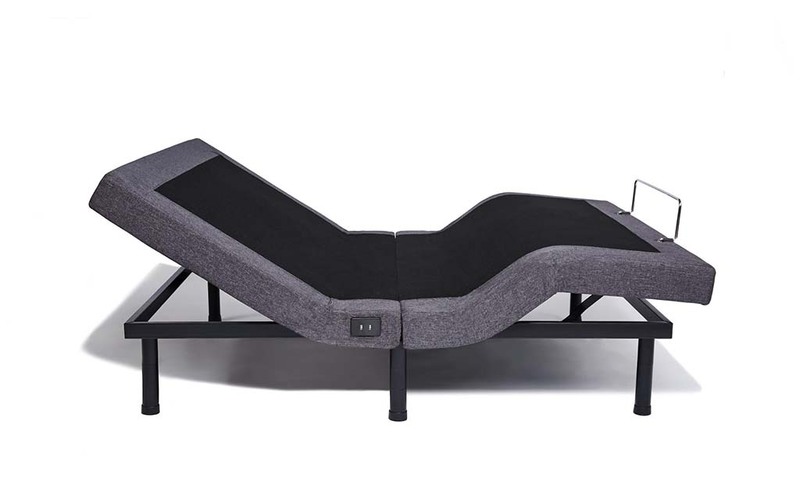 Enter DreamCloud Sleep’s adjustable bed frame, a remote-controlled rig that provides alignment, support and customization at the touch of a button. Using the frame’s wireless remote, owners can raise their head or feet to achieve an optimally comfortable position, which can then be saved for later. Each end is also equipped with three-speed massagers that operate independently. In addition to the custom settings users can program, the frame offers “Zero Gravity” settings that simulate the ideal sleep position for astronauts headed into space, as determined by NASA scientists. There’s also a setting to stop — or cut down — snoring. And all of that comes at a fairly reasonable price, with frames starting at $649 for a Twin XL all the way up to $1,298 for a Split King. Over the past two weeks, we’ve been putting one of the frames to the test, and have answers for the questions we think you might have. Rest easy, brother. The process itself is fairly easy and can be accomplished by one person. Everything is included in the box, and the instructions are minimal and require no additional tools to beyond your noggin. As for the box itself, well, it’s heavy. If you don’t live on a ground floor or have access to an elevator, you’re going to need someone to help you with the box in exchange for a beer afterward. Do you feel like an astronaut while sleeping? While the Zero Gravity position is fairly commodious, especially after waking up but not being ready to get out of bed, it doesn’t magically promote sleep, or at least it didn’t for your humble correspondent. But sleep preferences vary greatly from person to person. Does the vibrate feature remind you of one of those coin-operated motel beds? Nope. Those were jarring and loud. The vibrations the DreamCloud frame produces are smooth and quiet. Also, the ability to set the opposing sides at different levels (i.e., setting your head at level 3 and your feet at level 1) is a nice touch. It’s also fun to change the levels while your dog is on the bed and isn’t expecting it. How does it function as just a regular bed frame? Perfectly. The frame can be outfitted at heights of three, six or nine inches off the ground so there’s room to store a little — or a lot — underneath it. There’s also a mattress holder at the bottom that’s intended to keep everything in place when the frame is elevated, but doubles as an excellent place to tuck your sheets and blankets. Can it handle, you know, extracurricular activities? Oh you mean like drinking, eating or maybe making a little fort, right? It is sturdy and solid, so all of those activities are supported, literally. Boosting the head up is also helpful for reading, doing a crossword or watching television. Have you found yourself using the extra features? Yes, but not often, if for no other reason than it is easy to forget they are there. That said, the embedded USB port is almost always in use, and has been a great way to charge a phone without having to get up. Going to be even more useful in winter, and is especially helpful if you use your phone as an alarm. In order to take advantage of all the features, you’re going to need to give it some juice. Make sure you have an outlet close to where you are planning on placing the bed — otherwise, you’ll have a makeshift tripwire rigged across your bedroom when you’re groggily getting out of bed on Monday morning. Ultimately, is the juice worth the squeeze? If you are looking to upgrade your sleeping situation and turn your bed into somewhat of a conversation piece, by all means. You don’t need the features the frame offers in order to get a good night’s sleep, but they certainly make it easier. Anyone who sleeps with a snorer may also be curious to experiment with the anti-snore setting. If you do decide to give it a shot, you have a 90-night trial period to demo the frame. If it doesn’t work for you, returns are always free. For more info about the frame, head over to DreamCloud Sleep or watch the video below.